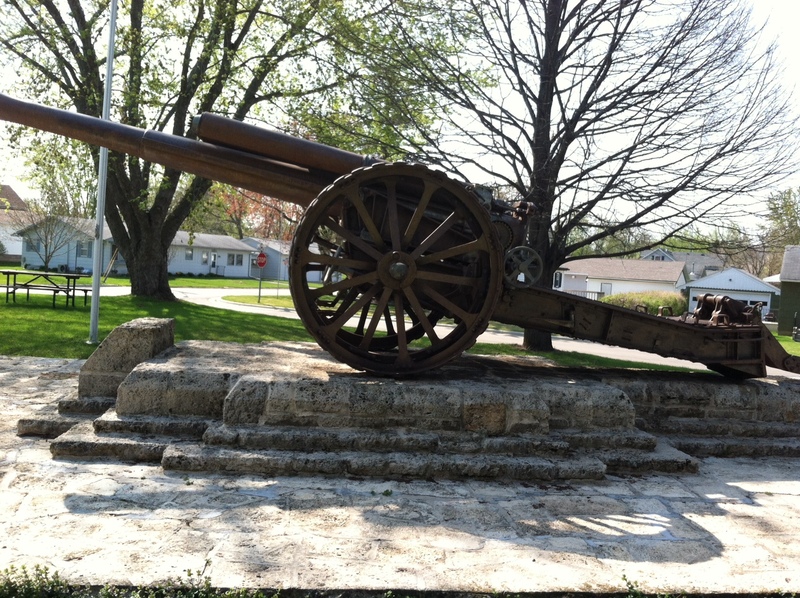 There is a World War One British cannon on display in a small park in Wabasha, MN. Loading view British 60pdr, Wabasha MN. A 60pdr is equivalent to a 127mm or 5″ gun in American terms. 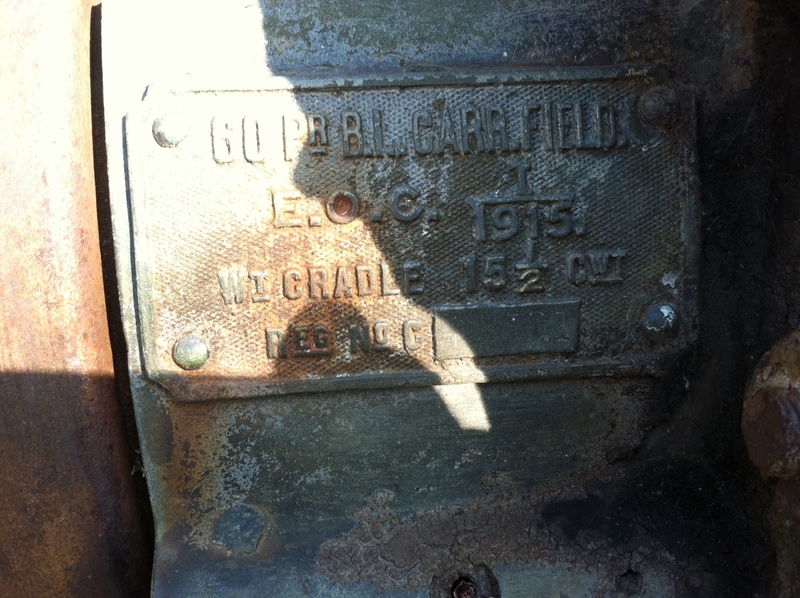 ID plate British 60pdr Wabasha MN. Another damaged plate identified the gun as being manufactured by Armstrong/Whitworth. The canon is a British 60pdr or a five inch gun (127mm). 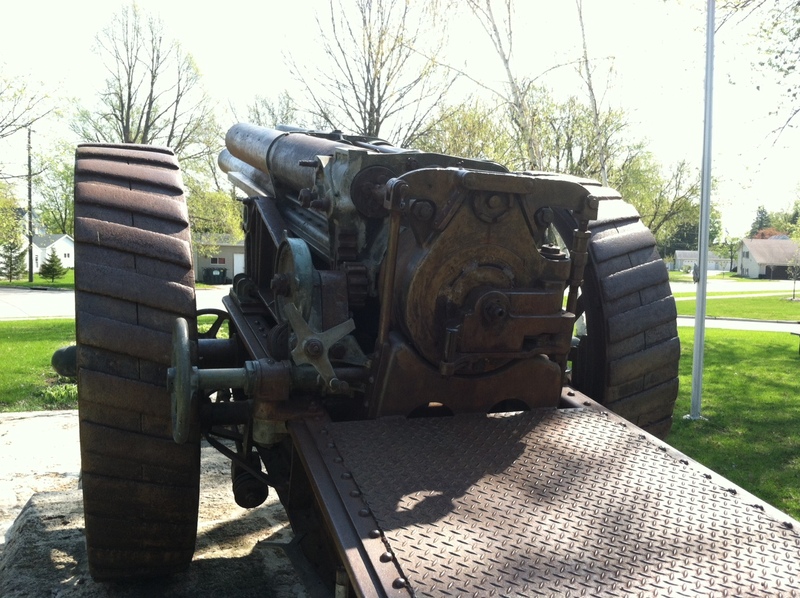 It was the standard heavy gun that served in the British and Canadian armies during World War One. According to Wiki the US acquired a few batteries of 60pdrs for evaluation purposes after WW1 but never adopted it for US service. Presumably, the gun in Wabasha was one of the these guns and the good citizens of Wabasha rescued the damaged gun from the scrap heap. 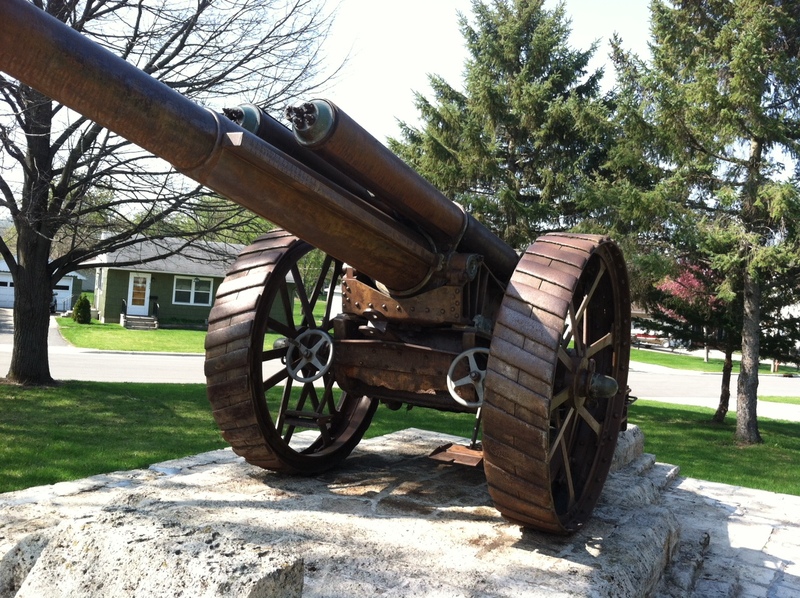 Since there isn’t a plaque in Canon Park commemorating US involvement in WW1 I’m guessing that the citizens just wanted a canon in the park to commemorate Minnesota’s involvement in all US wars. The gun is marked as being produced by Armstrong, the main supplier of the weapon to the British Army. Guns of this nature were combined into batteries and used to shell the enemy trench lines prior to an infantry attack. World War One is known as the war of artillery once the armies bogged down into trench warfare. If an artillery bombardment could suppress the enemy machine guns and infantry then one’s own infantry could attack and carry the enemies’ trench line. This was rarely the case but all participants used the tactic in the hopes of achieving a breakthrough that would end the bloodshed. Great gun.I’v made a model of one out of wood with limber. 19 inches long. Thanks for stopping by. Do you have a pic of your model?